HONOLULU (HawaiiNewsNow) - More than a third of Hawaii's coastlines are moderately to highly vulnerable to the coastal hazards associated with rising sea levels. That's according to a newly-published study from a team of University of Hawaii scientists, who called the findings "alarming." The study took years to produce, mapping out the coasts of each island relating to different coastal hazards. 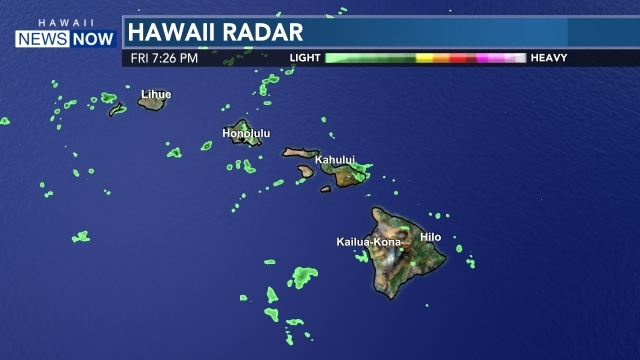 Researchers found that 34 percent of Hawaii is moderately to highly vulnerable, with shores on Maui, Oahu and Kauai at highest risk. "This is alarming because those vulnerable shorelines tend to be highly populated areas," said Yaprak Onat, one of the study's authors. "Sea level rise could be very alarming to those areas. The research takes a look at what's factoring into any decline of Hawaii's shores. It also studies other factors, such as natural habitats, waves, storms, erosion and more. After years of measurements, researchers looked at different categories of data to reveal what areas were most prone to coastal hazards. The study, published in the most recent issue of the Ocean and Coastal Management journal, found that as sea levels rise, so does the shoreline. The water is deeper, waves are bigger and crashing closer to shore. This increased wave exposure could mean nasty effects, such as erosion, flooding and damaged coastal infrastructure. Although waves affect all the Hawaiian Islands, Lanai and Kauai are especially influenced by increasing wave exposure, while Oahu has the most eroded shorelines. 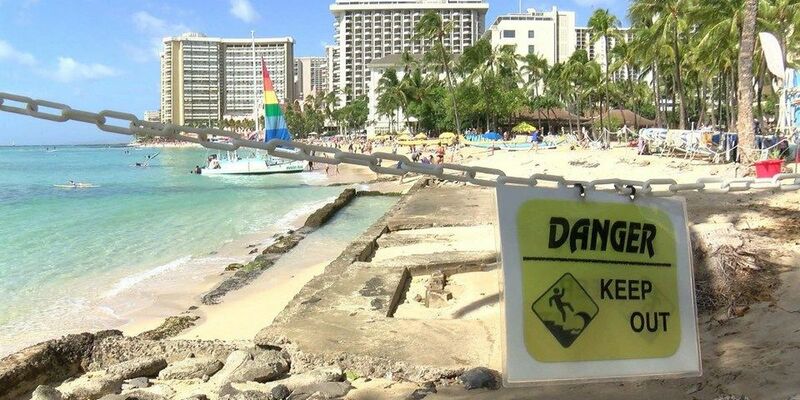 The study lists Oahu, with many low-lying beaches, as more at risk for flooding due to sea level rise. Hawaii and Maui were shown to be the most impacted by rising sea levels, whereas Kauai and Oahu are shown to be the least affected. "Now, we know which factors are affecting the shorelines," Onat said. "It can close the gap between engineers, policy makers and community members." The study also said shorelines on Oahu's North Shore are especially vulnerable. Originally, the study was was just done for the island of Oahu, but the authors decided not to stop at a single island and to expand research to all of Hawaii. "There was a need, and we tried to fill a gap for it," Oceana Francis said, a co-author for the study. "While Hawaii conjures images of swaying palms and white sandy beaches, it is also an ideal setting for developing, testing and improving systems of coastal monitoring and evaluating hazards, threats, and mitigation and adaptation efforts," the study said.